WellShare’s experience in designing and implementing large-scale, sustainable community-based programs spans more than 36 years. Founded in 1979 as Minnesota International Health Volunteers (MIHV), WellShare began its field work in post-war Vietnam refugee camps in Thailand, where Minnesotan doctors provided much-needed health care to an estimated 80,000 refugees. Soon, medical residents studying international health care joined the cause. Over the years, as its mission and impact expanded, WellShare shifted its focus from crisis intervention to primary health care of women and children. 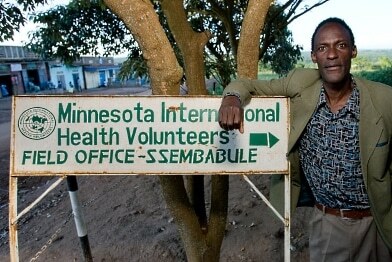 Today, WellShare has programs in Uganda, Tanzania, and the United States. Some highlights include: our education of more than 4,000 community health workers in seven countries and our implementation of eight US-funded child survival projects in Uganda, Kenya, Nicaragua, and Tanzania. View a list of some of our recent past programs.